The disclosure of tax avoidance schemes (DOTAS) regime came into force over a decade ago, which makes anyone marketing a scheme disclose it to HMRC. 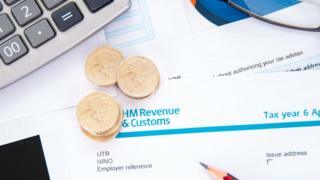 HMRC then issue a scheme number, which the tax payer has to put on his or her tax return. When that number is seen, the revenue will raise enquiries. The fine for failing to disclose a scheme is severe - up to ?1m - for the professional who devises it or advises that is lawful, whilst for users who don't report it, the penalties start at ?5,000 per offence.HMRC also now has the power to ask for the disputed tax up front under what are known as Accelerated Payment Notices. This means that the taxpayer has "skin in the game" rather than getting an automatic deferral of his tax liability. If a court then rules that the scheme is unlawful, HMRC can attach a "follower" notice to it, meaning others in the same scheme receive the same treatment. The Solicitors Regulatory Authority requires solicitors in England and Wales to comply with their principles, meaning they must "uphold the rule of law and the proper administration of justice", and "act with integrity". It is an ethical foundation of practice as a lawyer that you must uphold the rule of law, rather than tell people how to defeat it, so it goes without saying that solicitors should not give advice to help clients commit crime, such as tax evasion. So far, so obvious. However, solicitors advising people about how to structure their assets to minimise their tax are able to do so, provided they give advice within the law. This means as a lawyer is required to act in the best interest of their client, they must advise on the best way to reduce their tax bill if their client wants to have more money and pay less tax. But acting in the best interest of your client probably now includes providing advice about the moral outrage that comes with reducing a tax bill substantially. A likely question to a client would be: "How would you feel if this appears on the front page of a national newspaper?" There is, or certainly should be, a strict ethical dividing line between tax avoidance and tax evasion. If a client asks a solicitor for advice which involves breaking the law - which amounts to evasion - a solicitor must not give that advice or arrange a transaction which helps the client evade tax.New criminal offences are being rolled out by HMRC which will criminalise professionals involved in tax evasion. They include the somewhat convoluted "failure to prevent the facilitation of tax evasion", which came into force in September. These offences are not retrospective. "However, that is not to say they won't make a difference," says Jessica Parker, a partner at the solicitors Corker Binning. "They reflect the rising tide of moral opprobrium directed at the offshore tax industry. "Advisors will now tread extremely carefully so as to avoid falling onto the wrong side of the notoriously blurred line between legitimate tax avoidance and illegitimate tax evasion." There are a raft of laws to ensure that people or companies who are resident in the UK pay the correct tax.There has been tax information exchange agreements for years, under which, for example, Switzerland and the Channel Islands send information directly to HMRC. That transparency is likely to be increased as the Common Reporting Standard - a multilateral agreement for automatic exchange of financial information to prevent cross border tax evasion and hiding assets - takes effect.According to Clare Munro, a tax partner at accountants Lubbock Fine, things are improving. "Whilst the global tax system is not perfect, much has been done to provide people with incentives to pay what is due," she said. "There will always be those who push the boundaries, but there's been a sea change in public attitude to tax avoidance similar to public attitudes to smoking which, along with HMRC's greater focus on tackling avoidance, is making artificial and aggressive structures a thing of the past."